Last night I went to my first seder and it was wonderful. We met dozens of new relatives that live in our area and MJD learned more about his family tree. He came with a chart of his side of the family, and left with a whole new chart of the extended family. One day he should really write a family history! I can’t believe what a big family I married into! I am exhausted today, but totally worth it. My favorite part of dinner was the matzah ball soup, of course. And getting to wear the dress that I wore to our engagement party again. It’s always fun to get dressed up! Along with everyone else in the northeast I was disappointed when the cold and rain returned this weekend, but it did not at all ruin our NYC weekend. In fact, the weather led to a fabulous purchase, and a fabulous view! First of all, did you know that there is a nice sit down restaurant on the Met’s ground floor overlooking Central Park? How did I not realize that? A wall of windows overlooking the park, in the Met – what a way to spend a few hours on beautiful Saturday afternoon in NYC! MJD and I met his parents there on Saturday and after we soaked in the atmosphere, I got to show them my highschool, and walk through central park to the west side. It was such a nice afternoon – and the kind of wandering day you can only have in New York! Of course, Sunday was freezing and raining, but guess what? It was also a great day. Marc’s mom and I bought homemade hats from a vendor in Soho to keep us warm, and then we met my parents for brunch at Hundres Acres. Everyone loved the food, and the restaurant has such a great vibe. MJD laughed when I called it farmhouse chic, but that’s exactly what it feels like to me! After lunch, we had planned to walk around until our train, but it was so rainy, we decided to go for a drink and ended up at the hotel bar in the Mandarin Oriental. The view is spectacular and I was so glad the rain brought us there. It was a perfect place to sit and relax and talk before leaving the city. I wish I had brought my camera, but you’ll have to trust me and go there for drinks when you are visiting New York! As always, I felt torn when boarding the train back to DC. There are so many parts of New York that I miss, that just can’t be found in any other city. But then there are other parts that I’m glad cannot be found in DC! I just wish I could bottle up my family and the great aspects of New York, and bring them to DC! That would be perfect. If you are feeling negative, here’s a positive article. I don’t buy all of it, but it is a good reminder to stop all the complaining. I can be a complainer. A friend from work passed it on (after it helped her feel more positive – not cause I’m that negative!). So, what am I postitive about today? I accomplished a lot this week at work. Artie curled up in his new bed this morning. I am taking my hubbie for sushi tonight. Are you always able to see the bright side or do you get stuck in the pits? 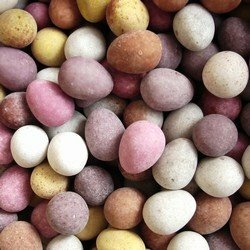 Cadbury mini eggs! Love this season. Go out and get some. Also, Whole Foods Chilli (beef, turkey, and veggie varieties) for nights when you are too tired to make a healthy home cooked meal. Such simple things make a day so much easier and better. I hope you find a pick me up today. It seems like overnight spring arrived. I know it’s only March and we could still get hit with cold, nasty weather (tomorrow), but seeing flowers and feeling warm air is amazing! A tree on my block all of a sudden turned pink! There are so many people out. Other than all the protesters, everyone is happier. I needed this. Last night, I met two friends at Blue Ridge in Glover Park. Overpriced and too salty, but the outside dining area made it all worthwhile. I just want to sit outside and soak it all in. I’ll at least make sure I can take a long walk to get lunch! I really need to my act together now though and get new flats and a pedi. ASAP! Happy St. Patty’s Day! It’s been and still is so busy over here. But I did find time to buy a green shirt for today. That makes me happy! Also spent time with the family for Mom’s birthday and got to eat amazing NYC and NJ pizza. So, all good! Now if only I could find the money to open a good pizza place (where you could get pizza by the slice!) in DC. 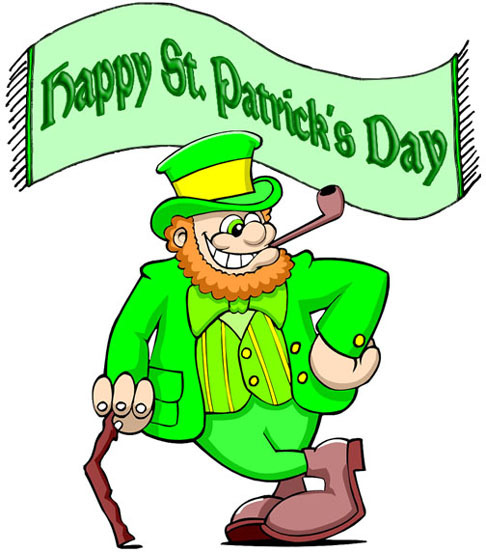 I wish I could Irish Dance and walk in the parade today! If you are living under a rock, happen to have a life, or are buried in work, and still haven’t watched the Bachelor from last night….Stop reading! If you watched – OMG what did you think?! I was both shocked and not shocked. It seemed like they were setting up Tenley for failure, and the connection with Vienna was really there. But really?! They think they are a perfect pair? I guess, to each his/her own, but I just don’t see it. The age difference, the grammar difference, the life experience?! Vienna is really just going to up and move to Dallas after a few months of dating on reality tv? I am intrigued. And then Ali as the next Bachelorette?! What a diss to Jake!?! She couldn’t stay a few extra weeks to be with him, but now she can do a whole season – is she quitting her job? I hope she stops whining and pouting before the show starts. I won’t be able to handle that. Alas, I cannot wait for the next season to start. Mondays are once again the most blah day of the week. Best TV Night – Who will the Bachelor pick?! What is going to happen on the Bachelor?! I am going to be following A Cup of Jo online, because I need to have something to keep me from going crazy during the commercials! I am going to put my bet on Ali just for kicks! Do you think that’s crazy?